With last year’s Sunday night keynote but a distant memory, TechEd returned to Sunday being solely for registration and pre-conference sessions. I’m guessing last year’s experiment didn’t go over too well. Good to see that they kept the single keynote session though. After waiting for luggage and then the shuttle to my hotel, I didn’t get checked in until almost 4 PM. I’m staying at the Residence Inn at Sea World, and so far I’m very pleased with the accommodations. 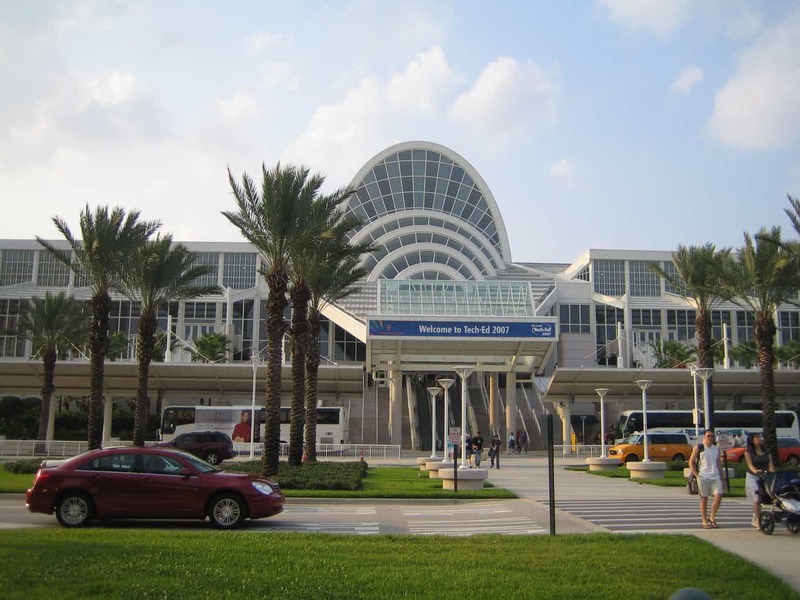 We’re close to the Convention Center and International Drive so that’s convenient. Plus the room is huge. I should say suite, not room. My suite has two bedrooms and bathrooms, so I have sleeping accommodations for four to six all to myself. Since I’m here for a week, it is a bonus to have all this space. Registration for the conference went smoothly. Not many people at the convention center. That will change tomorrow. The bag this year is a big improvement over last year. Much bigger and with all the necessary compartments present. I still can’t believe they left off the water bottle holder last year. It isn’t particularly attractive as bags go, but it should get me through the week. I don’t understand the compartment for a CD player though. Considering the shift to MP3 players, you’d think the pocket would be Zune-shaped (and why not toss in a Zune while you’re at it Microsoft?). The TechEd Store was open so I did some browsing. They hype the fact that books are 20% off. I did some quick checking and of all the books I checked, the discount at Amazon was closer to 30%. I found a couple books that look worthwhile, but I think I’ll order them from Amazon. I did grab a couple Microsoft shirts for myself. In previous years many of the items sell out, so if I find a shirt I really like, I don’t wait for any end-of-show sales anymore. Unfortunately their Internet connection dropped as I reached the line, so I left my items in a bag behind the counter and will pay on Monday. I stopped by the CommNet and checked out the conference site. I completed the pre-conference survey, and as usual there was a question about preferences for sites for future conferences. The two cities listed were Chicago and Houston. Chicago is a great city with a lot of things to do, but I voted for Houston. Living in St. Louis and growing up in Kenosha, going to Chicago doesn’t feel much like going out of town compared to other cities. I haven’t been to Houston since I left Exxon, and I have several friends and former coworkers who live there, so I’d rather go there. We know we’re in Orlando again next year, so guess we may have some place new for 2009. Ate dinner at a Mexican restaurant at Pointe Orlando. Not bad, although I hate having to pay for chips and salsa. Complimentary chips and salsa should be a requirement to call yourself a Mexican restaurant. Afterwards I headed to Glo Lounge for the Party with Palermo. Picked up a free shirt as well as some other trinkets. Then a detour to Walgreens for some sodas for the fridge and hand sanitizer (who knows what you can pick up from those public keyboards with all of the thousands of people here). I usually pick up some bug when I go to TechEd it seems, so figure I can’t be too careful. I’ll be posting photos from time to time at my TechEd 2007 album.